Though I didn't get to New York Fashion week in person, there's nothing I love more than cozying up on the couch with some pumpkin spice coffee & Netflix (latest obsession: Reign),pinning my favorite looks of the season. Then, I love to do a little bit of trend forecasting about what the biggest trends of the season will be. Fashion week can be totally overwhelming with so many avant garde looks. So, I like to break it down into what the most I think are the most wearable trends of the season.. That way you can actually envision how these high fashion looks can fit into your wardrobe. 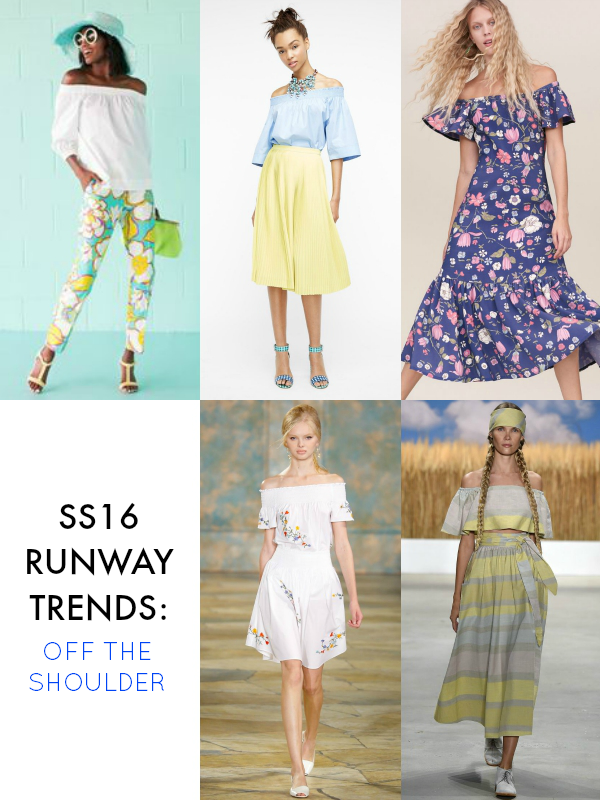 This is the first post in a series of what you can expect for Spring/Summer 2016's biggest fashion trends. 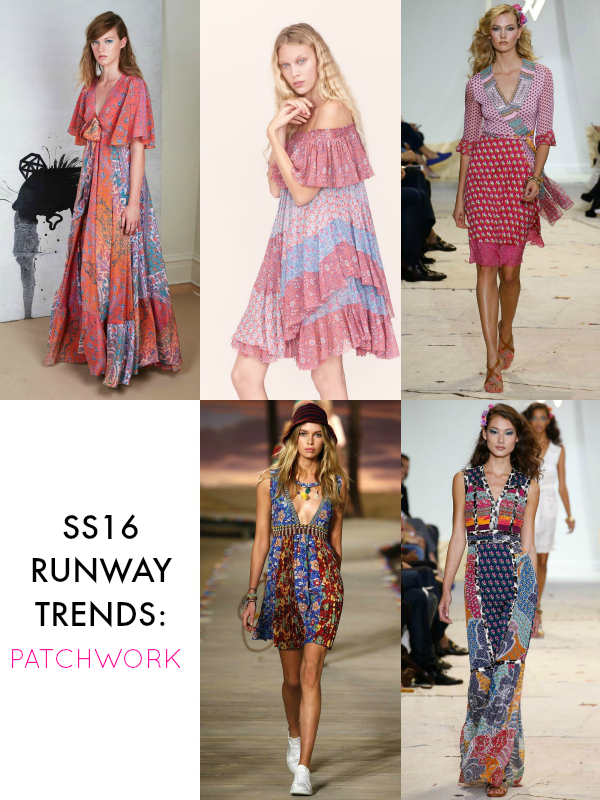 The print mixing trend of SS15 was taken one step further with the patchwork look that took over the runways that has a 70's feel. My favorite patchwork outfits are in tonal color palettes which give them a slightly more modern look. I love this trend because it's a little flirty and feminine. Whether in a sundress or top, ruffles or elastic band, it's a versatile silhouette that's easy to dress up or dress own. Personally, I love Rebecca Taylor's floral maxi dress take. 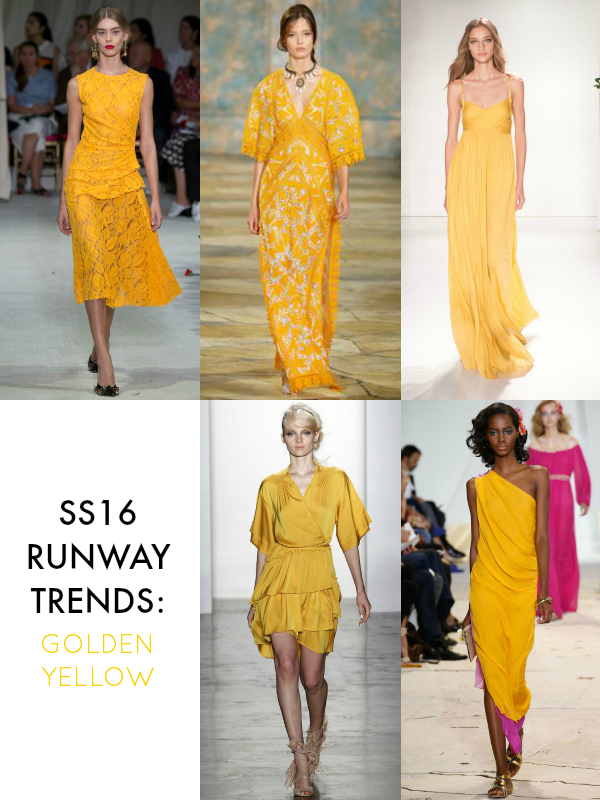 This sunny, optimistic hue was all over the runway. It makes quite a statement and looks gorgeous on every skin tone. I especially love this color in lace fabrication. 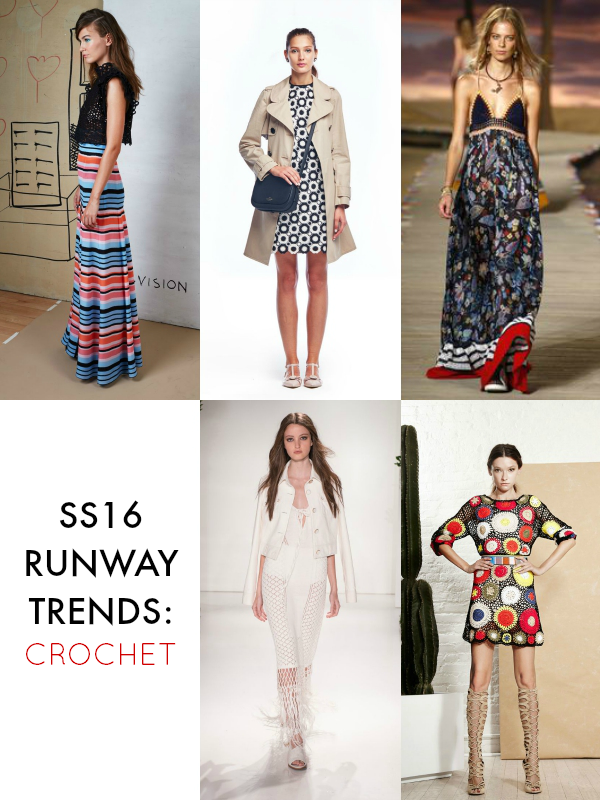 Similar to patchwork, crochet is another 70's inspired look that's trending on the SS16 runways. The primary colored Alice + Olivia take is a more direct inspiration while the black crochet crop top paired with a striped skirt at Nanette Lepore has a modern look. Follow Lauren @ La Petite Fashionista's board SS16 Fashion Week Faves on Pinterest. If you're wondering what the must-wear trends for this fall will be, check out my breakdown on getting the look from J.Crew's fall 2015 collection here. I haven't had the chance to go to LFW this season either, but I've enjoyed checking out the new season online. These are some great trends. I love the off the shoulder trend. The pinks, purples and florals in the patchwork dresses are pretty and I love the Toriy Burch (fourth) off-shoulder dress and the Tory Burch (first) golden yellow floral and sheer dress is gorgeous! The other golden yellow styles are pretty too. I also love that Alice + Olivia crocheted mini-dress.